Out here on Oregon’s eastern border, where four mighty rivers converge in one valley, a cache of culture and creativity thrives. Maybe it’s because the vast landscape is so inspiring — a place where nature abounds and history runs deep. 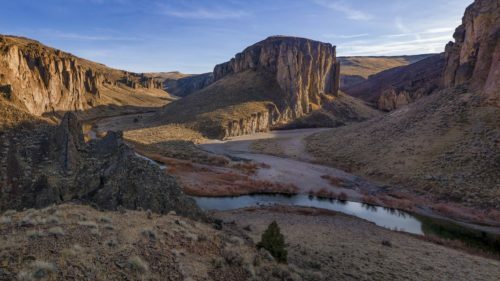 Imagine the quiet inspiration that unfolds when you hear the echo of a fishing line dip into a glassy lake, or when you walk alongside the original wagon ruts of Oregon Trail settlers. 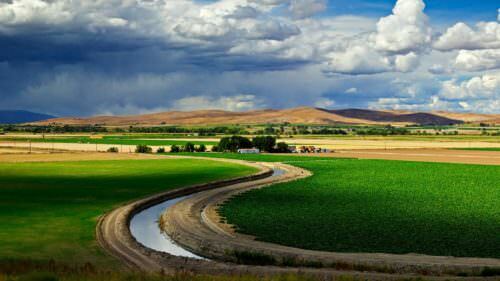 This is the western Treasure Valley, a destination so special and unique that it lives in its own time zone from the rest of Oregon. 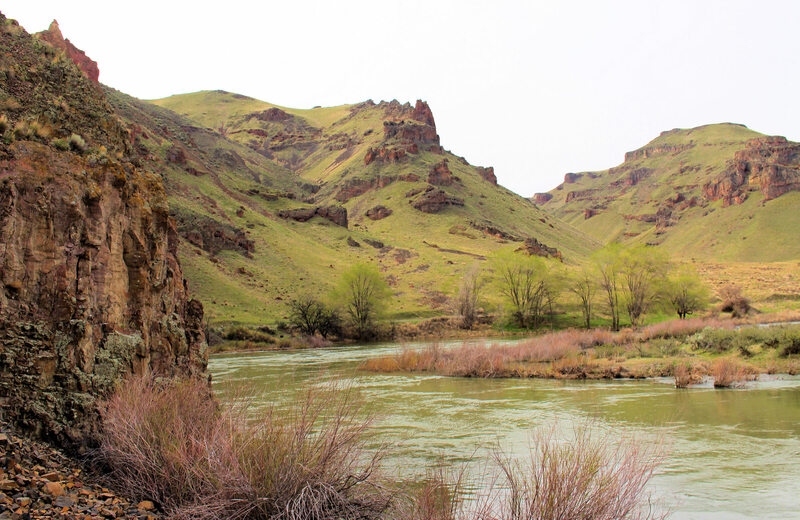 It’s known as the Four Rivers subregion, thanks to the Snake, Malheur, Owyhee and Payette rivers that feed the land. You could spend a lifetime exploring the valley’s great riches — and many generations have — but for this itinerary, enjoy three days of happy discovery. Start the day in Ontario, coined as “where Oregon begins,” a fair title given the town’s long history of settlers, as well as its geography. An easy way to orient yourself (and a fun fact) is to remember that in Ontario, avenues run east and west while streets run north and south. 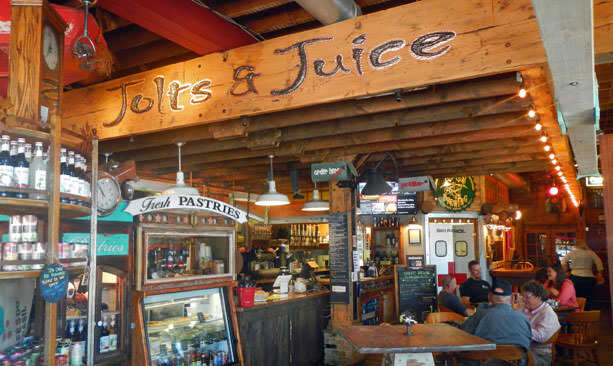 In the heart of downtown, Jolts & Juice Coffee Shop has all the ingredients to start your adventure: speciality coffee drinks, fruit smoothies, sandwiches, pastries and more. Order the local’s favorite, the Hub Cap sandwich. The shop’s eclectic decor makes it a fun place to refuel, but also take note of the architectural details of this historic building, built in 1899 as Ontario’s first bank. One block away, The House That Art Built will keep you entertained with an assortment of locally made home decor and souvenirs. More than 50 artists contribute their arts and crafts, ranging from handcrafted furniture and artwork to one-of-a-kind jewelry and toys. The inventory is always changing, so be sure to snag your favorite piece fast. On a clear-sky day (and Ontario has quite a few), walk over to Four Rivers Cultural Center, located less than a half-mile away. Otherwise, there’s plenty of parking for cars too. Inside the large cultural center is a treasure trove of exhibits detailing the area’s unique history. Learn about the diverse local heritage — including Native American, Basque, Hispanic and Japanese — and how so many came to call this valley home. The center also features the only Japanese garden within 400 miles, Hikaru Mizu, a serene place to stroll in reflection. For dinner, consider the fantastic selection at Ogawa’s Wicked Sushi, Burgers and Bowls. A local’s favorite, Ogawa’s serves classic Japanese sushi as well as fusion dishes like poke nachos and panko scallops. With gourmet beef, chicken and ahi and burgers, plus grilled steaks, Ogawa’s is a satisfying choice for all food cravings. Alternatively, wine, appetizers and good company might suit you well. 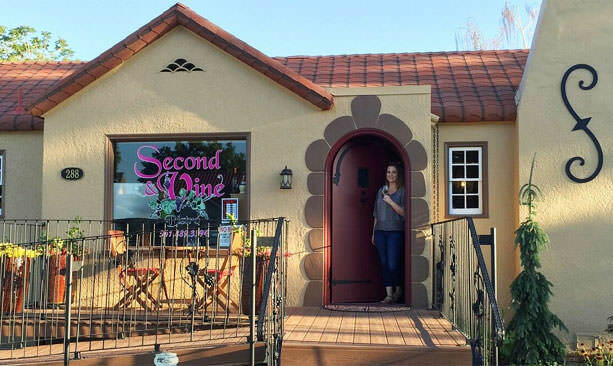 Head to the vintage home of Second & Vine Bistro for an intimate tasting with local experts, and have a second glass from the sunny terrace. 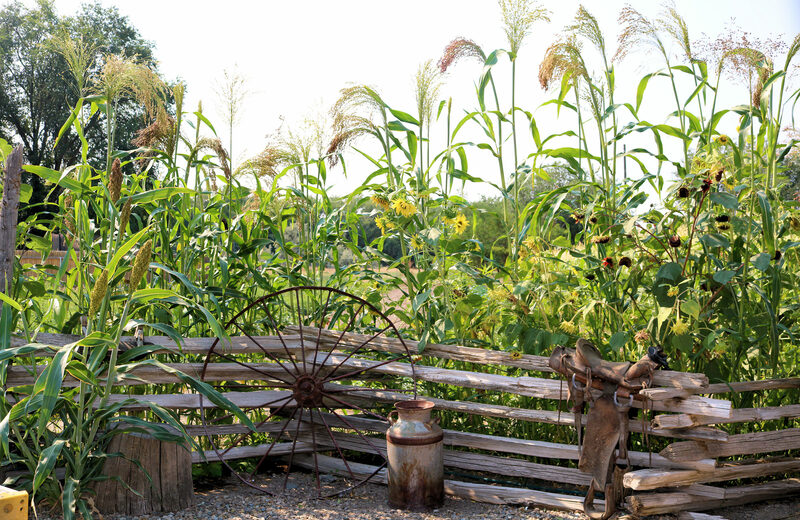 Better yet, sync your visit with a farm-to-table dinner to truly the taste the flavors of Four Rivers — just be sure to book early since the events are pretty popular. With daylight fading away, check into Clarion Inn, featuring comfortable rooms and on-site dining. The easy access to Treasure Valley activities, as well as Interstate 84 and Highway 20, make The Clarion Inn quite convenient too. Rest easy in the peaceful inn, for more adventures are just a night’s sleep away. Rise and shine with breakfast at Thunderegg Coffee Co. in Nyssa, just a quick drive south of Ontario. The cozy shop serves hot coffee and breakfast, and the hefty breakfast burritos always come recommended. Grab a build-your-own sandwich to pack for lunch — and you’ll be glad you did. While here, be sure to pick up a map of local thunderegg hot spots. Nyssa is famous for these agate-filled rocks (also the Oregon state rock) and hosts the annual Thunderegg Days & Festival in July. You can put the thunderegg map to good use with a mid-morning scavenger hunt for the geode-like wonders. Though on the outside they appear to be plain round rocks, when broken open they reveal a spellbinding crystal core. If you plan ahead, the Ontario Chamber can connect you with an expert guide (and map) to help you find these rare collectibles. Next it’s time to get your toes wet — literally. No trip to the Ontario area is complete without a visit to the Owyhee Reservoir in Lake Owyhee State Park. At 53 miles long, it’s the longest reservoir in Oregon. 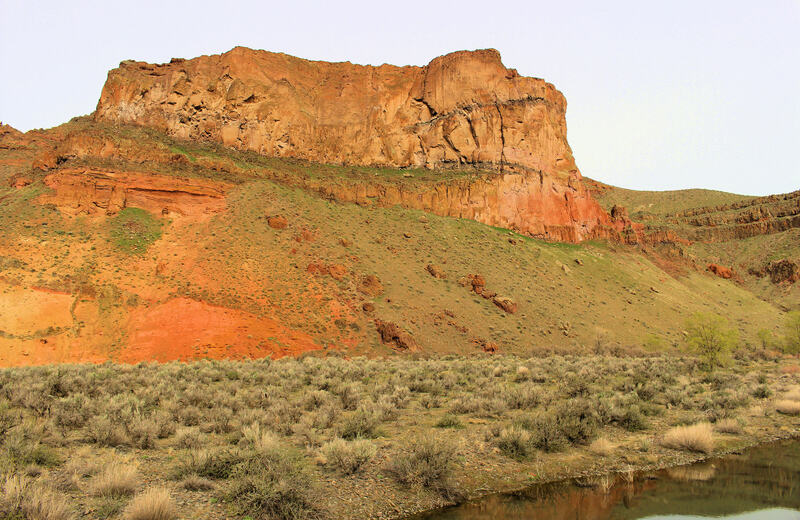 The lake formed in 1932 with the completion of the Owyhee Dam; today, it supplies water for hundreds of farms. Marvel at the reservoir’s deep, narrow canyon surrounded by rugged desert hills. Many would argue that the best views are from the water, so it’s a good idea to rent a stand-up paddleboard (SUP) or kayak (or reserve a lesson) at Ontario Board Shack. This is also a fantastic spot for fishing. Cast a line in pure blissful solitude. Ambitious anglers are rewarded with exciting warm-water catches, especially largemouth bass and white and black crappie, as well as catfish and the occasionally stocked rainbow trout. You can get a fishing license at Owyhee Grocery in Nyssa, which also provides information about local regulations. By now you’ve earned a big meal and libations. 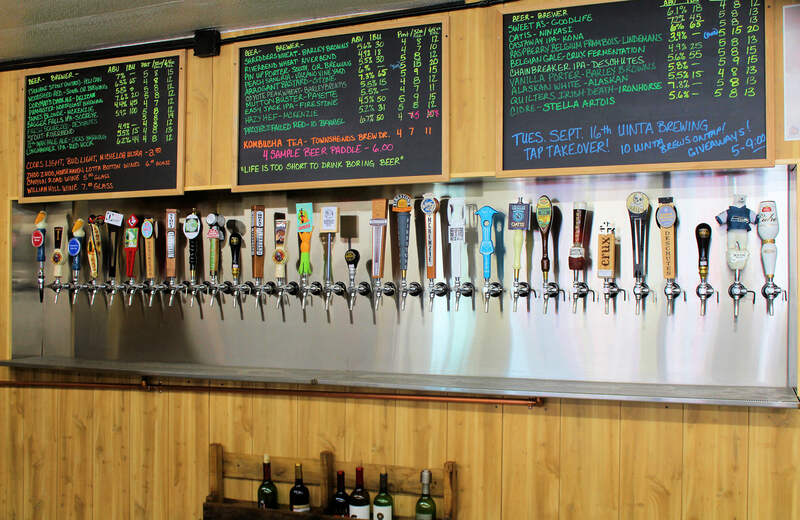 Head to Bert’s Growler Garage in Ontario for a large menu of gyros, sandwiches, sliders, brisket, tacos and more. (Insider’s tip: the tri-tip steak sandwich is well loved for good reason.) Quench your thirst from the rotating selection of 38 beers on tap and 100 bottles in stock, plus wine, sangria, craft sodas and kombucha. If a second wind kicks in, challenge a friend to a game of shuffleboard. Dogs welcome on the patio. Happily retire to your room at Clarion Inn. Tonight might be the perfect time to check out the hotel’s indoor whirlpool spa. Start the day like a local with breakfast at the well-loved Tower House Coffee, located a couple blocks from the Ontario Train Depot. Try the hom bow, a yeast bread roll stuffed with eggs, sausage, potatoes, cheese, peppers and red onions. Make a mental note about the lunch menu featuring soup, pizza and brews on tap. If you’re in town on a Saturday in the summer, be sure to carve time to visit the Ontario Saturday Market, held June through September, 10 a.m. to 2 p.m. The valley’s talented artisans bring their crafts to the public, from handmade decor and accessories to homegrown produce. After finding a favorite souvenir, check out the market’s popular pies and get a farm-fresh snack for the road. Head west for a morning in the historic town of Vale, famously the first stop in Oregon for settlers on the Oregon Trail. Quickly you’ll notice the many elaborate murals in Vale — there are more than 30, each one telling a special story. Find the mural directory near city hall (or online) and begin your tour of Vale’s Outdoor Art Gallery. Every year, the Mural Society paints a new piece and re-enhances existing ones. 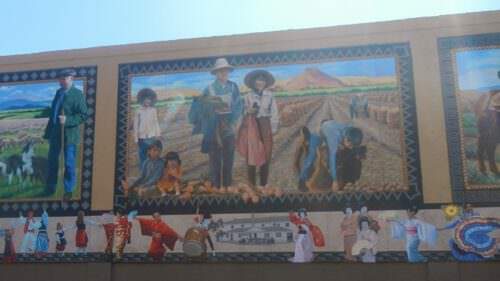 Notable murals include one of steam engine Sagebrush Annie, pieces of the Oregon Trail journey and homages to Japanese, Chinese, Mexican and Basque immigrants. Your history lesson continues at Rinehart Stone House, listed on the National Register of Historic Places. Built in 1872, the Rinehart Stone was the first permanent building in Malheur County, a wayside rest stop for weary travelers and a military outpost during the Bannock War of 1878. 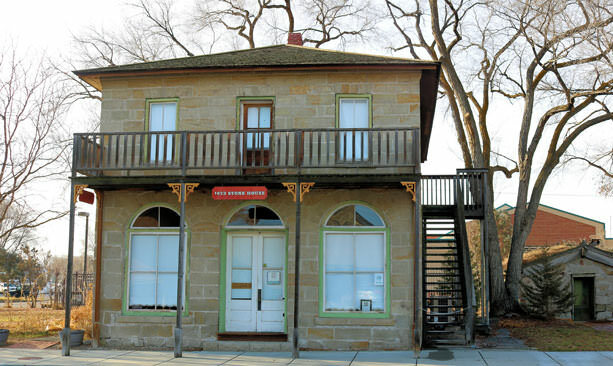 Today the restored house is a museum that showcases relics and interpretive exhibits about the Oregon Trail. Open March through October, Tuesday through Saturday, 12 p.m. to 4 p.m. Special tours available by appointment. 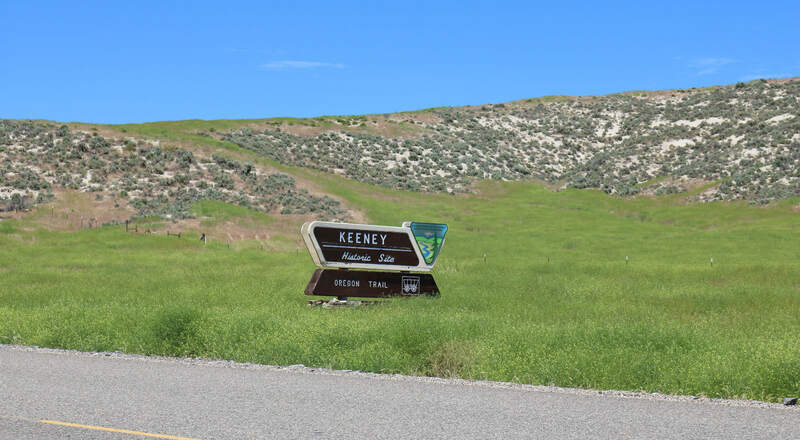 On the outskirts of Vale along Highway 201, the Keeney Pass Interpretive Site is must-see destination for any amateur historians. 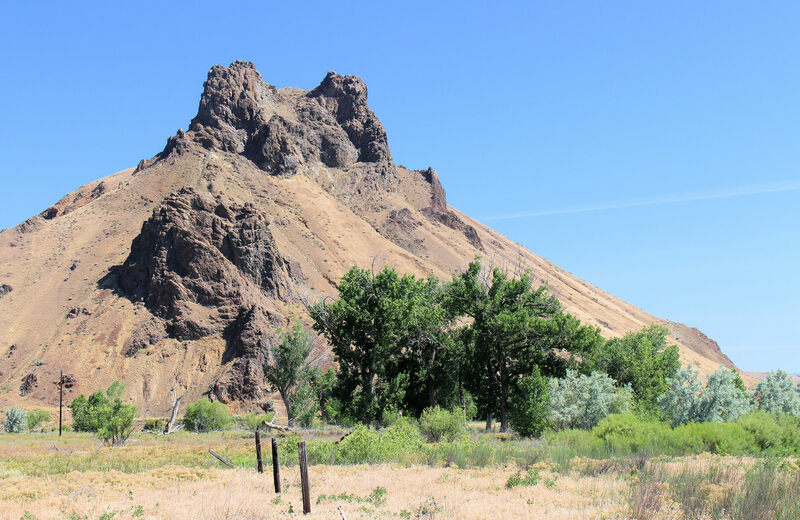 Named after pioneer trader Jonathan Keeney (also depicted in a Vale mural), the site features an interpretive shelter and overlook, as well as still-visible wagon ruts from Oregon Trail travelers some 175 years ago. Walk along the ruts for a surreal experience. When lunch beckons, hear the call of Cattle Drive Coffee and Grill in Nyssa. Locals love the Philly cheesesteak, but it’s hard to pass on the gourmet hot dogs, ranging from German sausage to andouille to Basque chorizo and more. A speciality iced coffee drink is the cherry on top. 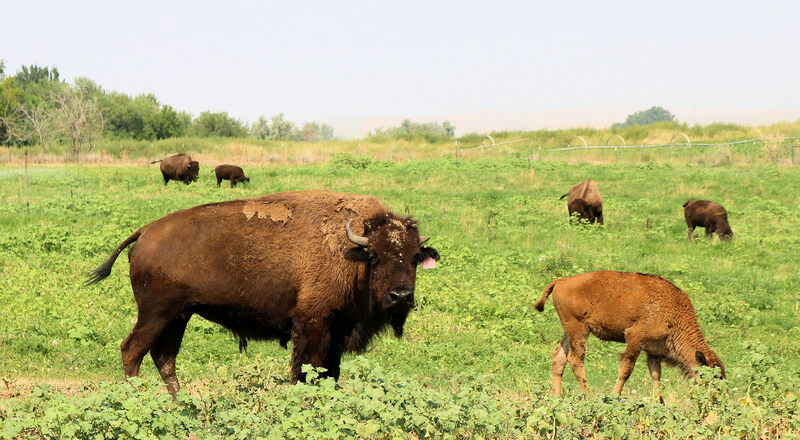 For a behind-the-scenes look at Treasure Valley’s farming culture, consider a visit to Brown’s Buffalo Ranch in Nyssa. Since 1972, pasture-raised buffalo have roamed the ranch and fed communities in Oregon, Idaho and beyond. Seeing the American bison graze on grassland is truly special. Call before visiting and arrange a tour. In Ontario, Country Corner is a family-owned ranch that dates back three generations. 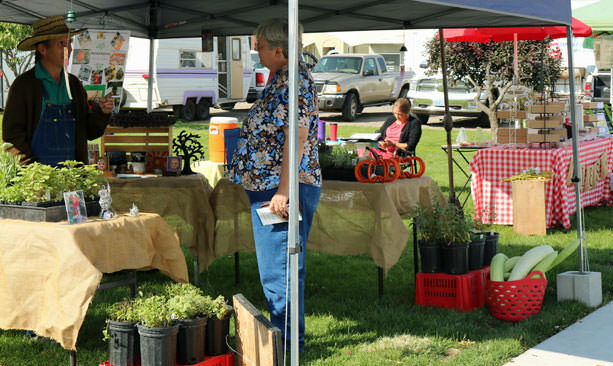 Depending on the season, the farm stand sells a variety of produce, fresh eggs, beef and handmade gifts. Come with the family in the summertime for U-pick fruit. The photos of berry-covered faces will be destined for the mantle. While traveling the valley, Malheur Butte is hard to miss, a volcanic relic looming in the distance west of Ontario. Though inactive for millions of year, the cinder cone still attracts energy: photographers flock to the country roads around it, hoping for the perfect sunset shot as the sky turns orange and the sun disappears behind the butte. The butte is supposedly haunted and located on private property, so it’s best to bring your zoom lens instead of venturing too close. Satisfied? You should be. You’ve accomplished many of the first-timer’s Four Rivers must-dos. Feel free to head home with a heart full of memories, or consider extending your stay to explore even more of the valley’s treasures.